“We”, “our”, “us”, “Company”, or “REIN”, means Acend, Inc., dba REIN, its subsidiaries including Acend Insurance Solutions, LLC, and domain names we use including DroneInsurance.com. “You” or “your” means you or the person visiting our websites and/or using our products and services. Our “Services” mean (a) products and services we sell online, and (b) website information or tools we provide on Rein.ai, DroneInsurance.com or our affiliated websites, and any applications we develop, whether independently or in collaboration with third parties, for the web, Android and iOS (collectively, our “Sites”). Please note that we reserve the right, at our sole discretion, to modify these Terms or our Services at any time and without prior notice to you. You can visit this page at any time to review the current form of our terms. If you accept or agree to these Terms on behalf of a company or other legal entity, you represent and warrant that you have the authority to bind that company or other legal entity to these Terms, and in such event “you” and “your” will refer and apply to that company or other legal entity. These Terms apply to your use of our Services as well as any additional services and/or products that we may make available from time to time. Not all of the Services described on our Sites are available in all areas of the United States and you may not be eligible for them. We reserve the right to determine eligibility. We may, in our sole discretion and at any time, discontinue providing or limit access to our Sites and/or to our Services. You agree that we may, in our sole discretion and at any time, terminate or limit your access to or use of our Sites. We will terminate or limit your access to or use of our Sites, without prior notice including if we believe you have engaged in conduct prohibited by these Terms. not to undertake, cause, permit or authorize any modification, creation of derivative works, translation, reverse engineering, decompiling, disassembling or hacking of all or part of our Services or Content (as defined below) or otherwise attempt to use or access our Sites or any of our Services other than as intended; not to disrupt, interfere with, or otherwise harm or violate the security of our Sites, or any services, system resources, servers or networks connected to or accessible through our Sites. not to pretend that you are or represent, someone else, or impersonate any other individual or entity. You may not obtain or attempt to obtain any materials or information through any means not intentionally made available through our Sites. WE MAKE NO REPRESENTATIONS OR WARRANTIES WITH RESPECT TO THIS SITE OR ITS CONTENT, OR, EXCEPT AS PROVIDED BELOW, ANY PRODUCT OR SERVICE AVAILABLE ON OR PROMOTED THROUGH THIS SITE. THIS SITE AND ALL OF ITS CONTENT (INCLUDING USER-GENERATED CONTENT) ARE PROVIDED ON AN “AS IS,” “AS AVAILABLE” BASIS, WITHOUT REPRESENTATIONS OR WARRANTIES OF ANY KIND. TO THE FULLEST EXTENT PERMITTED BY LAW, WE AND OUR AFFILIATES, AND OUR SERVICE PROVIDERS AND LICENSORS DISCLAIM ANY AND ALL REPRESENTATIONS AND WARRANTIES, WHETHER EXPRESS, IMPLIED, ARISING BY STATUTE, CUSTOM, COURSE OF DEALING, COURSE OF PERFORMANCE OR IN ANY OTHER WAY, WITH RESPECT TO THIS SITE, ITS CONTENT, AND ANY PRODUCTS OR SERVICES AVAILABLE OR PROMOTED THROUGH THIS SITE. WITHOUT LIMITING THE GENERALITY OF THE FOREGOING, WE AND OUR AFFILIATES, AND OUR SERVICE PROVIDERS AND LICENSORS DISCLAIM ALL REPRESENTATIONS AND WARRANTIES (A) OF TITLE, NON-INFRINGEMENT, MERCHANTABILITY AND FITNESS FOR A PARTICULAR PURPOSE; (B) RELATING TO THE SECURITY OF THIS SITE; (C) THAT THE CONTENT OF THIS SITE IS ACCURATE, COMPLETE OR CURRENT; OR (D) THAT THIS SITE WILL OPERATE SECURELY OR WITHOUT INTERRUPTION OR ERROR. WE DO NOT ENDORSE AND ARE NOT RESPONSIBLE FOR STATEMENTS, ADVICE OR OPINIONS MADE BY ANYONE OTHER THAN OUR AUTHORIZED SPOKESPERSONS. WE DO NOT ENDORSE AND ARE NOT RESPONSIBLE FOR ANY STATEMENTS, ADVICE OR OPINIONS CONTAINED IN USER-GENERATED CONTENT AND SUCH STATEMENTS, ADVICE OR OPINIONS DO NOT IN ANY WAY REFLECT OUR STATEMENTS, ADVICE OR OPINIONS. WE DO NOT MAKE ANY REPRESENTATIONS OR WARRANTIES AGAINST THE POSSIBILITY OF DELETION, MISDELIVERY OR FAILURE TO STORE COMMUNICATIONS, PERSONALIZED SETTINGS, OR OTHER DATA. YOU ACCEPT THAT OUR SHAREHOLDERS, OWNERS, OFFICERS, DIRECTORS, EMPLOYEES AND OTHER REPRESENTATIVES SHALL HAVE THE BENEFIT OF THIS CLAUSE. IN CONSIDERATION FOR YOUR USE OF AND ACCESS TO OUR SITES, AND TO THE MAXIMUM EXTENT PERMITTED BY LAW, YOU AGREE THAT IN NO EVENT SHALL ANY COMPANY AFFILIATE BE LIABLE FOR ANY DAMAGES, INCLUDING BUT NOT LIMITED TO DIRECT, COMPENSATORY, INDIRECT, INCIDENTAL, CONSEQUENTIAL, SPECIAL, EXEMPLARY OR PUNITIVE DAMAGES (INCLUDING, WITHOUT LIMITATION, DAMAGES FOR LOSS OF PROFITS, BUSINESS INTERRUPTION, LOSS OF INFORMATION REGARDLESS OF WHETHER ANY COMPANY AFFILIATE HAS BEEN INFORMED OF THE LIKELIHOOD OF SUCH DAMAGES) ARISING OUT OF OR RELATING TO THE PROVISION OF OUR SERVICES OR OUR SITE. YOU AND REIN AGREE THAT THIS SECTION, “DISCLAIMER AND LIMITATION OF LIABILITY”, IS AN AGREED ALLOCATION OF RISK BETWEEN YOU AND REIN. YOU ACKNOWLEDGE THAT, ABSENT YOUR AGREEMENT TO THIS LIMITATION OF LIABILITY, REIN WOULD NOT MAKE THE SITE AVAILABE TO YOU. THIS LIMITATION OF LIABILITY SHALL APPLY TO THE FULLEST EXTENT PERMITTED BY LAW AND SHALL SURVIVE TERMINATION OF THIS AGREEMENT. YOU AGREE TO DEFEND, INDEMNIFY, AND HOLD HARMLESS THE COMPANY AFFILIATES, FROM AND AGAINST ANY AND ALL CLAIMS, EXPENSES OR DAMAGES (INCLUDING ATTORNEYS’ FEES), WHETHER KNOWN OR UNKNOWN, ARISING FROM, INCURRED AS A RESULT OF, OR IN ANY MANNER RELATED TO (A) YOUR USE OR MISUSE OF OUR SERVICES AND/OR OUR SITES, OR (B) YOUR BREACH OR OTHER VIOLATION OF THESE TERMS. YOU HEREBY AGREE TO WAIVE (TO THE EXTENT PERMISSABLE) ALL LAWS THAT MAY LIMIT THE EFFECTIVENESS OF THE FOREGOING RELEASES. NOTWITHSTANDING THE FOREGOING, YOU SHALL NOT BE LIABLE FOR CLAIMS, EXPENSES OR DAMAGES ARISING FROM THE INTENTIONAL OR GROSSLY NEGLIGENT ACTS OF ANY THE COMPANY AFFILIATES. THIS INDEMNIFICATION SHALL APPLY TO THE FULLEST EXTENT PERMITTED BY LAW AND SHALL SURVIVE TERMINATION OF THIS AGREEMENT. Our Sites, and all information, materials and content available on our Sites, including without limitation any trademarks, logos, service marks, trade dress, text, and graphics (collectively, "Content"), is the property of REIN and/or certain third-parties. The Content is protected by United States copyright, trade dress, patent, and trademark laws, international conventions, and all other relevant intellectual property and proprietary rights, and applicable laws. All Site Content is the copyrighted property of REIN or its subsidiaries or affiliated companies and/or third parties, except for User content, to which Users retain their respective copyrights. All trademarks, service marks, and trade names are proprietary to REIN or its affiliates and/or third parties. Nothing contained on the Site should be construed as granting, by implication or otherwise, any license or right to use any of the Content without the written permission of the party that owns the Content, whether it be REIN or a third party. You agree not to sell, license, distribute, copy, modify, publicly perform or display, transmit, publish, edit, adapt, create derivative works from, or otherwise make unauthorized use of the Content, and nothing herein shall be interpreted to grant you any right or license under any intellectual property rights of REIN or any third party. The term “User-Generated Content” refers to all of the text, photographs, images, illustrations, graphics, sound recordings, video, audio-video clips, and other Content that you post on or through this Site using the social networking tools we make available to you. One way that User-Generated Content differs from other information you provide to us is that, once submitted, User-Generated Content is often made available instantaneously to others. For example, comments you post to blogs constitute User-Generated Content. Because we do not control the User-Generated Content posted on or through this Site, we cannot and do not warrant or guarantee the truthfulness, integrity, suitability, or quality of that User-Generated Content. You also agree and understand that by accessing this Site, you may encounter User-Generated Content that you may consider to be objectionable. We have no responsibility for any User-Generated Content, including without limitation any errors or omissions therein. We are not liable for any loss or damage of any kind you claim was incurred as a result of the use of any User-Generated Content posted, e-mailed, transmitted or otherwise made available on or through this Site. The User-Generated Content posted on or through this Site expresses the personal opinions of the individuals who posted it and does not necessarily reflect our views or any person or entity associated with us. You own the copyright in any original User-Generated Content you post. We do not claim any copyrights in User-Generated Content. However, by using this Site you are granting us and our subsidiaries, affiliates, successors, and assigns, a nonexclusive, fully paid, worldwide, perpetual, irrevocable, royalty-free, transferable license (with the right to sublicense through unlimited levels of sublicensees) to use, copy, modify, distribute, publicly display and perform, publish, transmit, remove, retain, repurpose, and commercialize User-Generated Content you post in any and all media or form of communication whether now existing or hereafter developed, without obtaining additional consent, with or without attribution, without restriction or notification, and without compensating you in any way, and to authorize others to do the same. For this reason, we ask that you not post any User-Generated Content that you do not wish to license to us, including any confidential information or product ideas. terminate your access to and use of this Site. You agree that our exercise of such discretion does not render us the owners of User-Generated Content you post, and that you will retain ownership thereof as described above. violate any local, state, national or international law, rule or regulation. The sites linked to our Sites, if any, are not necessarily under the control of REIN and REIN is not responsible for the content of any linked site, including any social media site. Any links included in the Site have been selected by REIN for your convenience. The selection or omission of links is not intended to endorse any particular companies or products. If you decide to access any of the third party sites linked to our Sites, you do so entirely at your own risk. REIN will not be responsible for any interactions between you and the operators or other users of such websites, or any damages incurred by you as a result of your use of such websites. When you purchase insurance using our Services, the terms and conditions of such insurance, including, but not limited to, coverage, exclusions, limitations, reductions in benefits and terms under which it may be continued in force or discontinued, are set forth in agreement between you and the insurance carrier. Further, some insurance products and/or services may not be available in all states or territories. Any insurance purchasing decisions such as coverage amounts are completely and solely the responsibility of the insured. REIN is not liable for any inaccurate, missing or misconstrued information on its Sites and makes no guarantee as to the quality and precision of the content. REIN may at its sole discretion change the content and information on its Sites from time to time. At the time of a claim, coverage will be determined in accordance with the terms and conditions of the insurance policy and not the Sites. By Us – We, in our sole discretion and for any reason or no reason, may terminate your account for our Services, disable your access to our Service (or any part thereof), discontinue a Service, or terminate any license or permission granted to you hereunder, at any time, with or without notice. You agree that REIN shall not be liable to you or any third-party for any such termination. Without limiting the generality of the foregoing, we may terminate your account in cases of actual or suspected fraud, or violations of these Terms or other laws or regulations, and any suspected fraudulent, abusive, or illegal activity may be referred to appropriate law enforcement authorities. These remedies are in addition to any other remedies we may have at law or in equity. 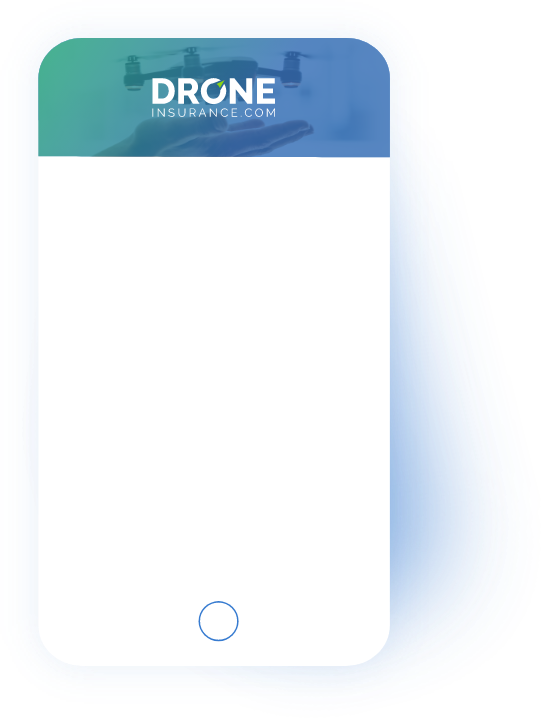 By You - If you are dissatisfied with our Services, please let us know by e-mailing us at Info@droneinsurance.com. Your only remedy with respect to any dissatisfaction with (i) our Services, (ii) any of these Terms, (iii) any policy or practice of Company in operating our Services, or (iv) any content or information transmitted or made available through our Services, is to terminate your use of our Services. These Terms (this “Agreement”) shall be governed by and construed in accordance with the laws of the Commonwealth of Massachusetts, excluding that body of law applicable to conflicts of law. You agree that any suit, action or proceeding arising out of or relating to this Agreement shall be instituted only in a state or federal court sitting in Suffolk County, Massachusetts. You hereby waive any objection you may have now or hereafter to the laying of the venue of any such suit, action or proceeding, and irrevocably submit to the jurisdiction of any such court in any such suit, action or proceeding. Insurance services are provided by Acend Insurance Solutions, LLC. Coverage is subject to actual policy terms and conditions. The advertised products are offered by a nonadmitted, excess/surplus lines insurer that is not subject to supervision or regulation by the insurance department of your state of residence, and does not participate in any state guaranty fund. Our insurance products are not currently available in NY, KY, IL or MN. Acend Insurance Solutions, LLC is organized in Massachusetts, and its principal place of business is at 6 Mill & Main Pl, Suite 300, Maynard, MA. Insurance services are provided by Acend Insurance Solutions, LLC. Coverage is subject to actual policy terms and conditions. The advertised products are offered by a nonadmitted, excess/surplus lines insurer that is not subject to supervision or regulation by the insurance department of your state of residence, and does not participate in any state guaranty fund. Our insurance products are not currently available in NY, KY, IL, or MN. Acend Insurance Solutions, LLC is organized in Massachusetts, and its principal place of business is at 6 Mill & Main Pl, Suite 300, Maynard, MA. Your policy provides coverage on a worldwide basis, with a few exceptions. (a)Algeria, Burundi, Far North Region of Cameroon, Central African Republic, Democratic Republic of Congo, Ethiopia, Kenya, Mali, Mauritania, Nigeria, Somalia, The Republic of Sudan, South Sudan. (c)Afghanistan, Jammu & Kashmir, North Korea, Pakistan. (d)Abkhazia, Donetsk & Lugansk regions of Ukraine, Nagorno-Karabakh, North Caucasian Federal District, South Ossetia. (e)Iran, Iraq, Lebanon, Libya, North Sinai Province of Egypt (including Taba International Airport), Syria, Yemen. (f)Any country where the operation of the insured Aircraft is in breach of United Nations sanctions. (b)in circumstances where an insured Aircraft has landed in an excluded country as a direct consequence and exclusively as a result of Force Majeure. Any excluded country may be covered by underwriters at terms to be agreed by Us prior to flight. There are other exclusions and restrictions that apply to your policy. Please refer to your policy form for a full description of coverages, exclusions, restrictions and other terms. Provides protection against legal liability you may have in the event your UAS ground operations accidentally cause bodily injury to a third party or damage a third-party’s property. If your primary business is the ownership, maintenance, or use of drones, the Premises Liability Extension provides protection against legal liability you may have if a third party suffers accidental bodily injury or property damage while on the premises you use for piloting, controlling, performing maintenance, or storing your UAS. Claims for slander, libel, or other disparagement of a person or organization’s products or services. Medical Expense coverage helps pay the reasonable medical expenses incurred by you, your relatives, the Additional Insureds designated on your policy, and other specified individuals in the event those individuals sustain bodily injury in an accident involving your drone(s) on your drone business premises. When selected, Physical Damage coverage insures against direct physical loss of, or damage to, the aircraft component of your UAS (including its propulsion system, and any other connected parts or equipment necessary for flight). When selected, this coverage insures against direct physical loss of, or damage to, scheduled sensors and equipment that you take airborne with your UAS (e.g., cameras, Light Detection and Ranging sensors, etc.).  When selected, this coverage insures against direct physical loss of, or damage to, scheduled equipment you use on the ground to remotely control, communicate, or review and record data from your drone or its Flight Equipment and sensors. Coverage is subject to exclusions and restrictions. Please refer to your policy form for a full description of coverages, exclusions, restrictions and other terms.